Tork Systems is proud to represent KPM, one of the best American manufacturers of scupper valves, vent check valves, deck drains and inverted vent check valves. 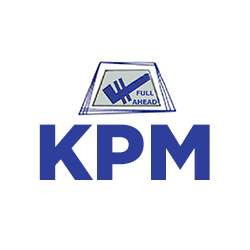 Located right down the street from our Oakland warehouse, KPM has been an industry leader since 1960! We’re excited to offer such a well respected product that was made not only in the U.S. of A. but in the Bay Area. Galvanized (standard) or Black Steel body, Bronze Strainer and Baffle Assembly. Socket Weld (standard) or Threaded Connection. Also Available Trap and Baffle removed. Galvanized or Black Steel Body, Bronze Strainer, Baffle and Stem Assembly with Monel Stem. Socket Weld or Threaded Connection. Galvanized (standard) or Black Steel Body, with Bronze Strainer, Baffle and Cleanout Plug. Ductile Iron, Bronze, Aluminum and Steel. Sizes 3/4 inch through 5 inch. Hot Dipped Galvanized Steel, Bronze, Aluminum orBlack Steel Body. With or Without Bronze Hinged Cover.